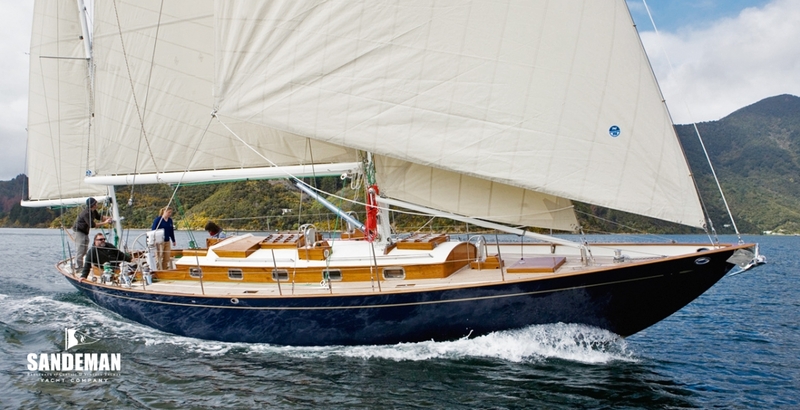 THEODORA is a modern interpretation of a classic S&S design. 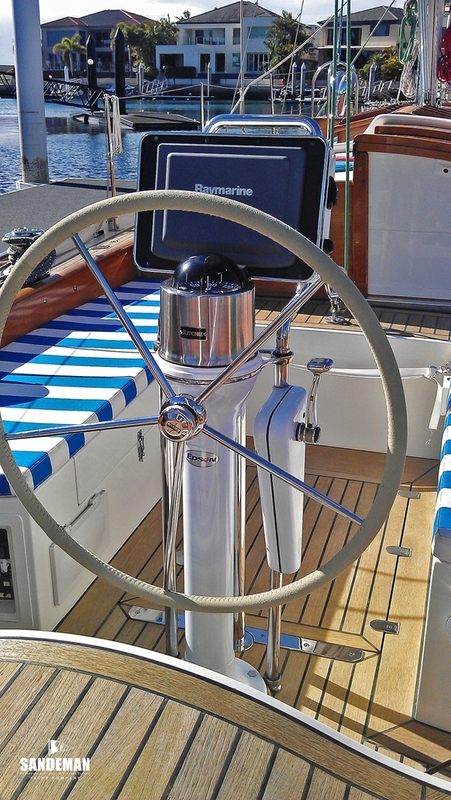 She retains the same classic lines but the construction method, systems and rigging – all to modern standards have provided for an immensely strong, rigid and torsion resistant yacht. 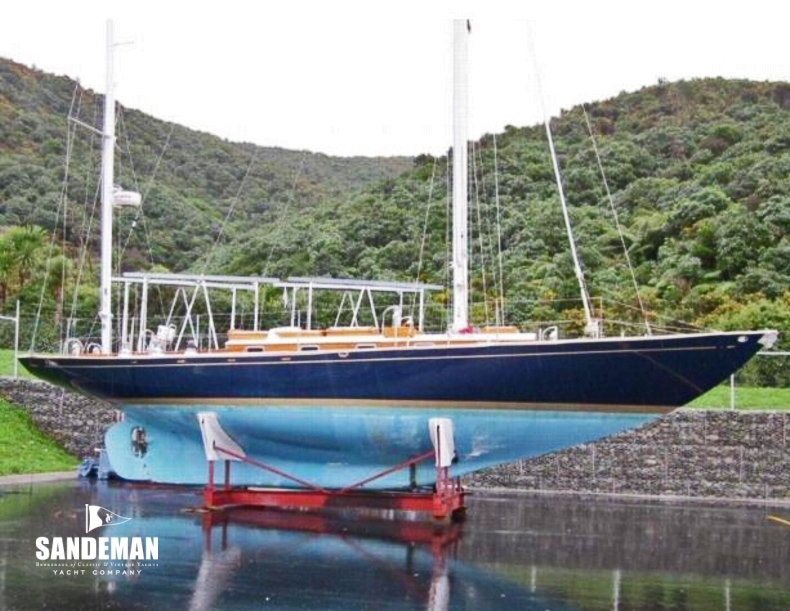 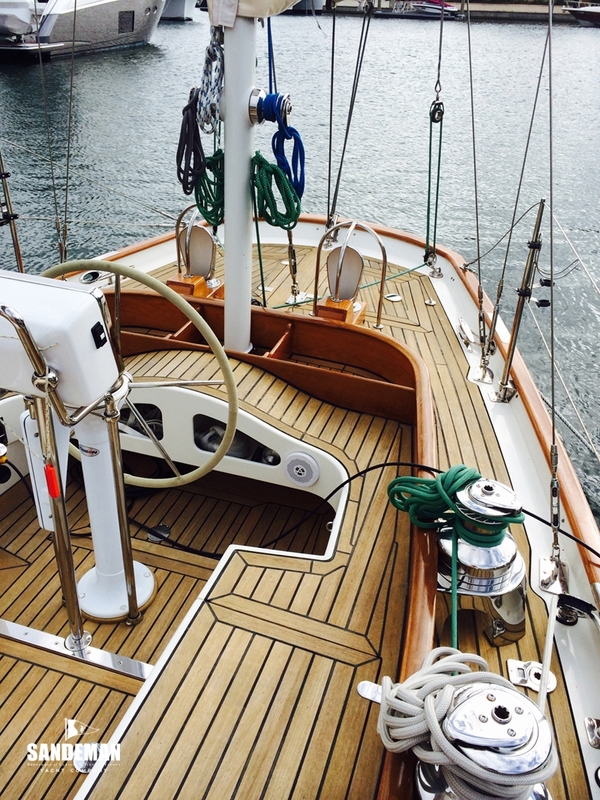 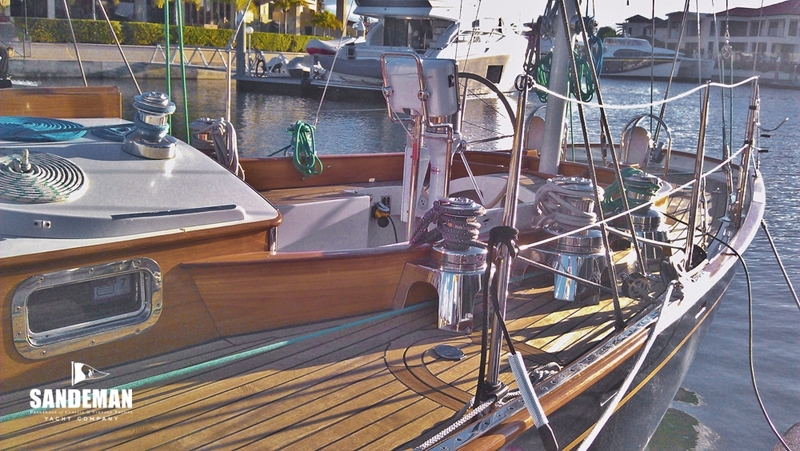 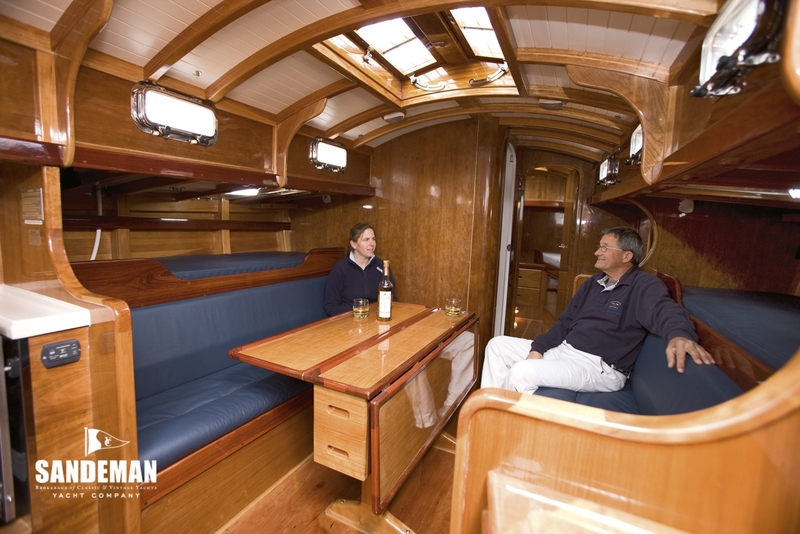 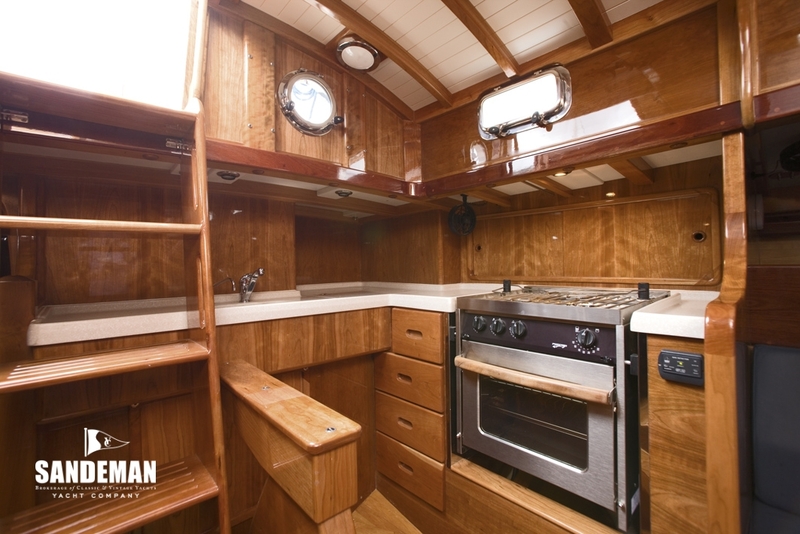 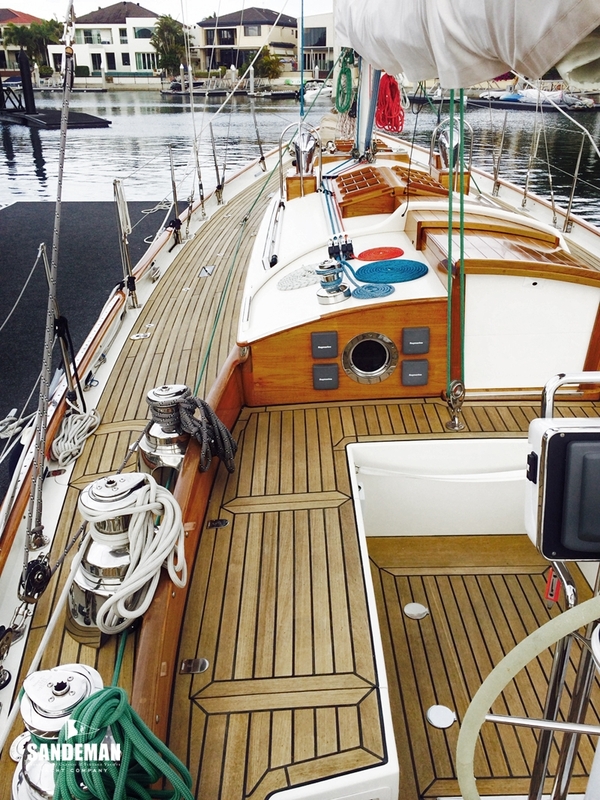 THEODORA was built at Ian Franklin Boat Builders Ltd of Christchurch, NZ to be launched in 2010. 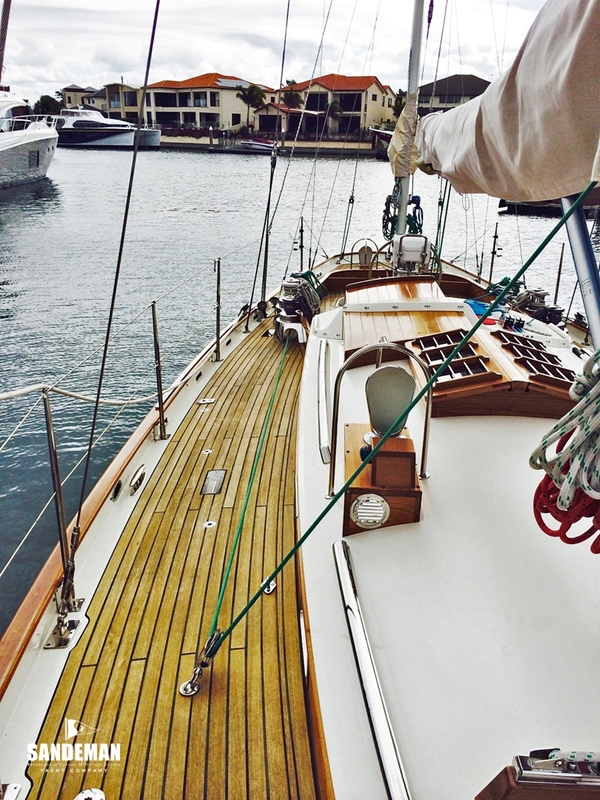 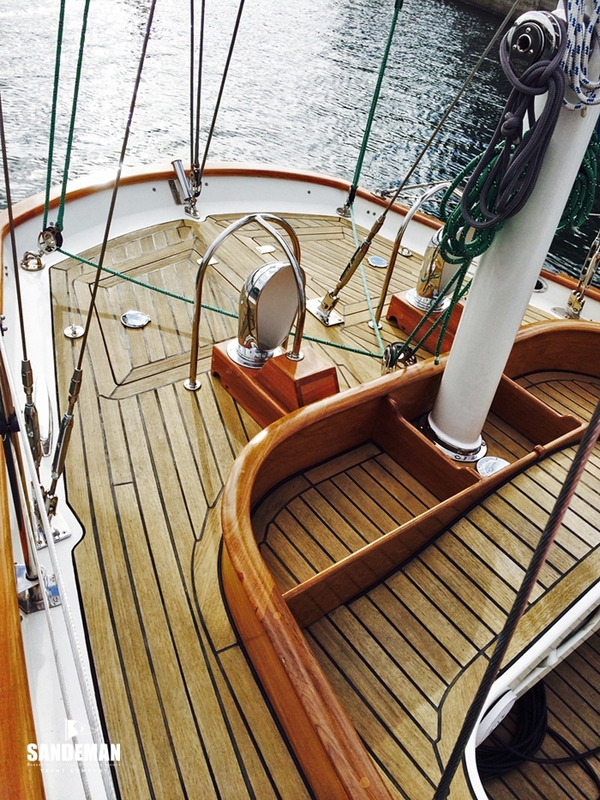 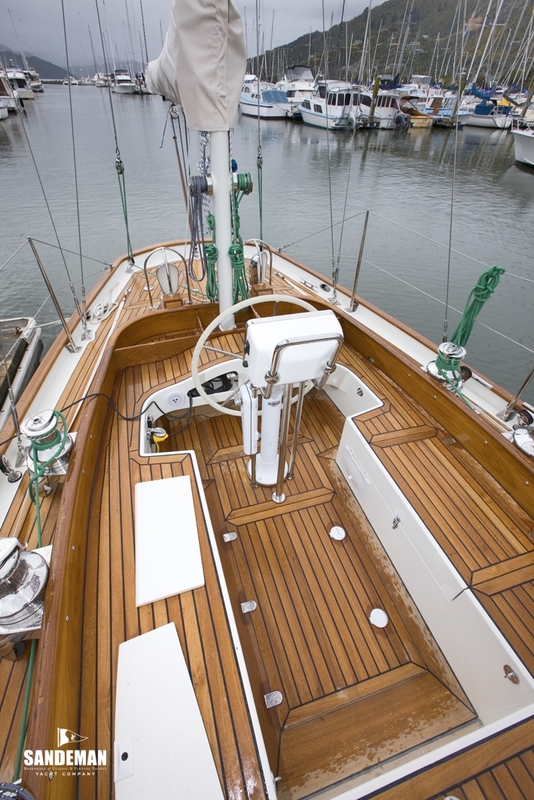 The Kauri timber employed in the triple layered construction is considered to be a superb timber for building the hulls and decks of boats because of its resistance to rot. 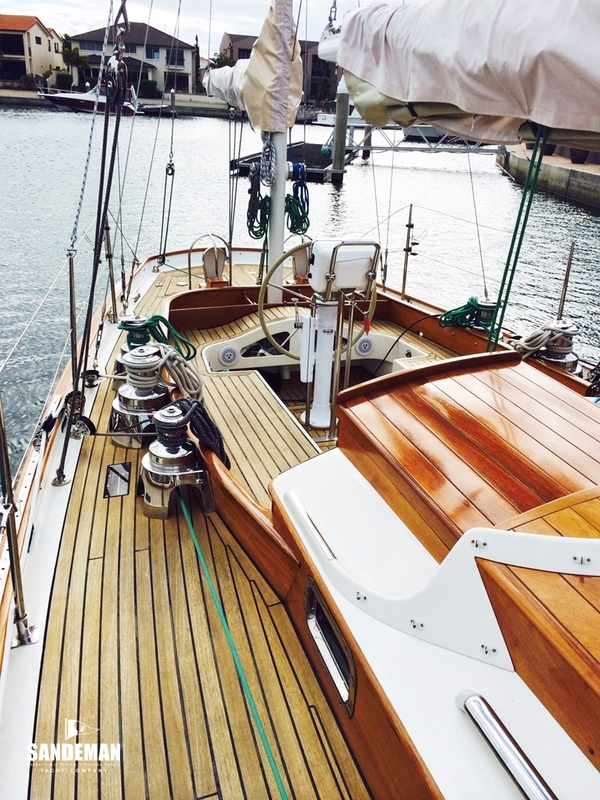 This is a stunning rendition from such a strong pedigree; S&S at the height of their powers – and in our view defines modern classic in a way that is unmatched by other claimants. 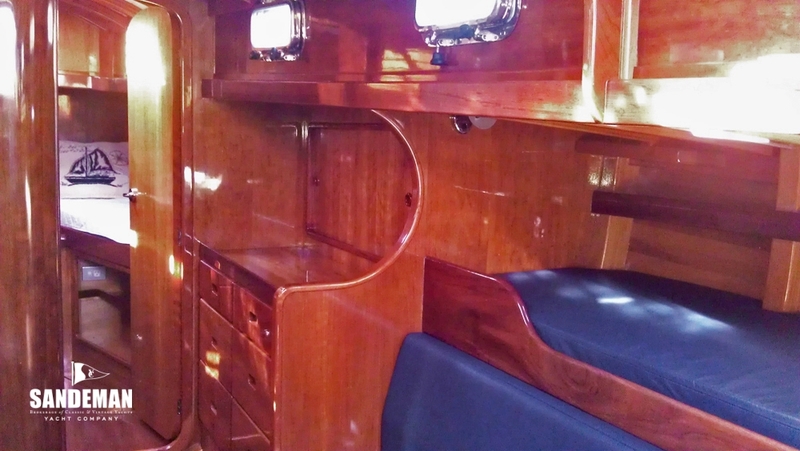 Balance is everything here and the versatility of cruising grounds afforded by the shoal draft lends yet another dimension to this special boat. 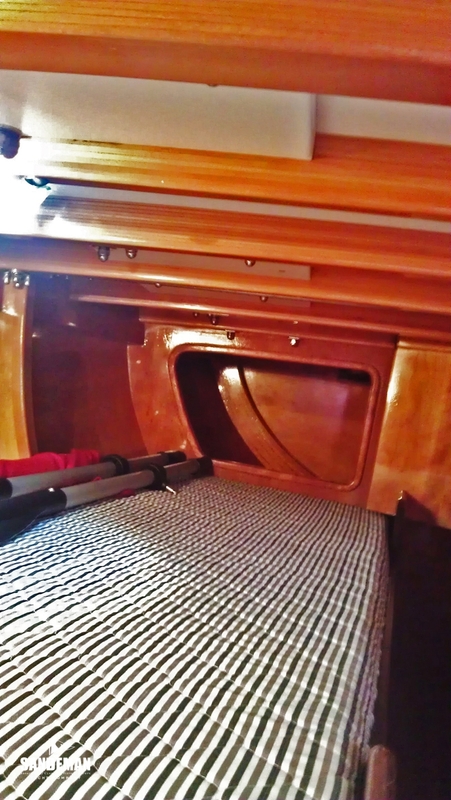 She comes moreover with a custom made steel cradle for shipping. 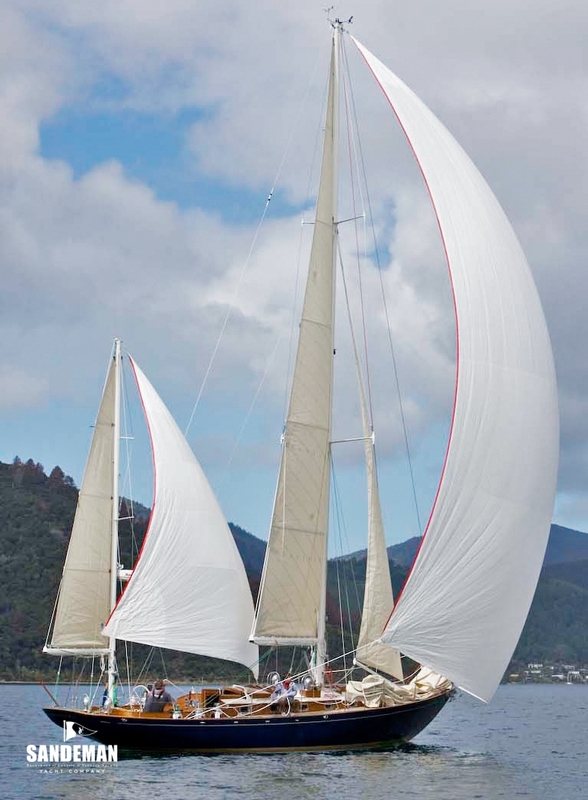 THEODORA has been mainly day sailing in New Zealand - her Australian owners sailing the beautiful Queen Charlotte Sounds several times a year. 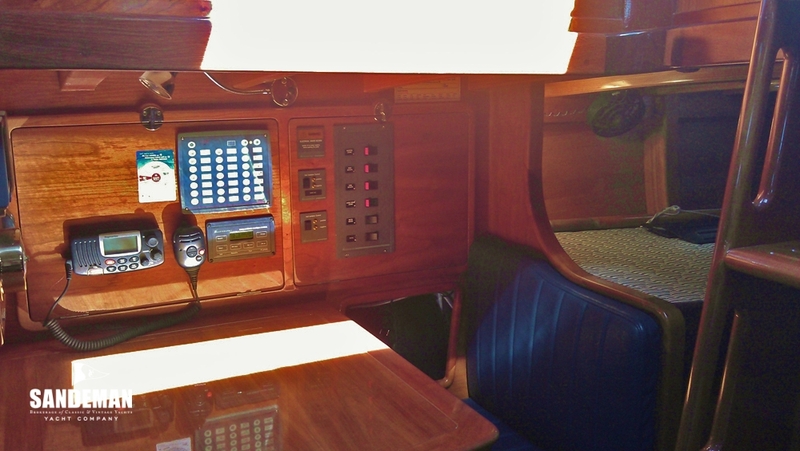 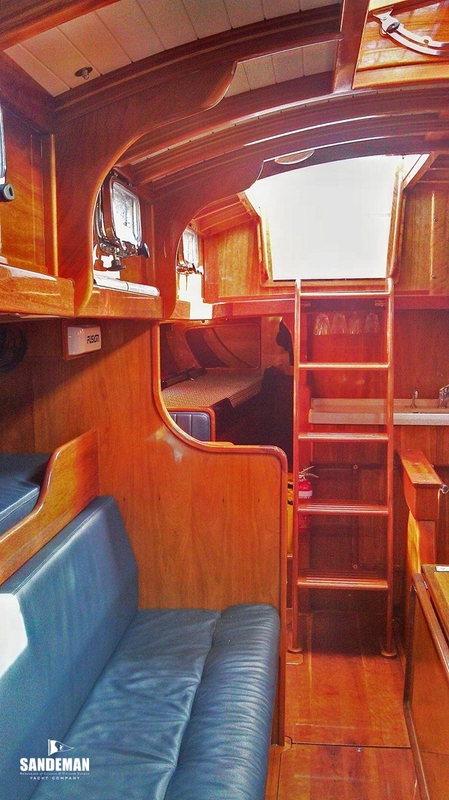 In July 2013 however the yacht was relocated to the Gold Coast, Queensland Australia where she is sailed in local waters and has not undertaken any more offshore or coastal sailing passages to date. 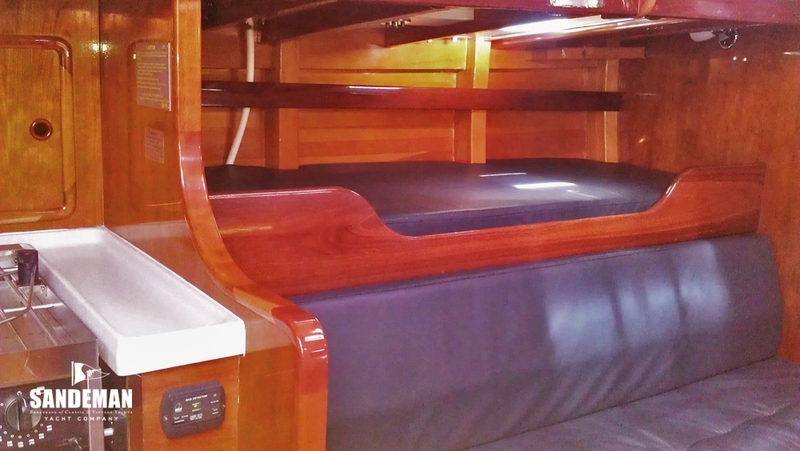 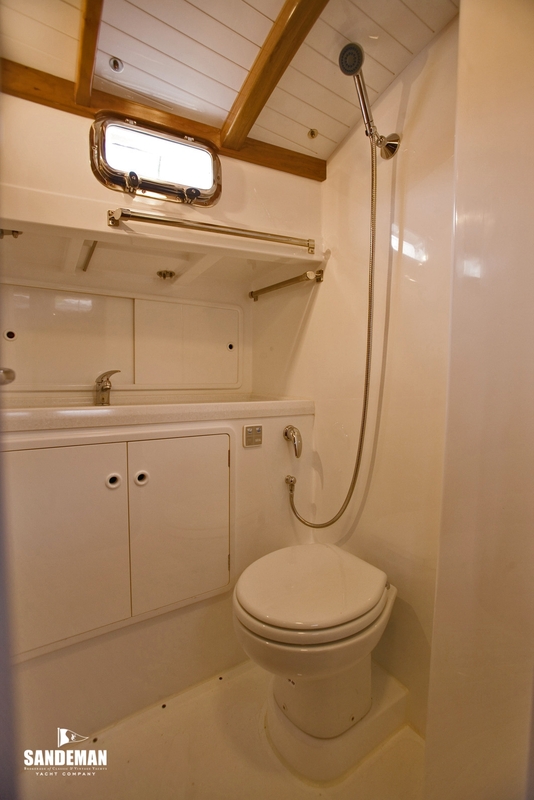 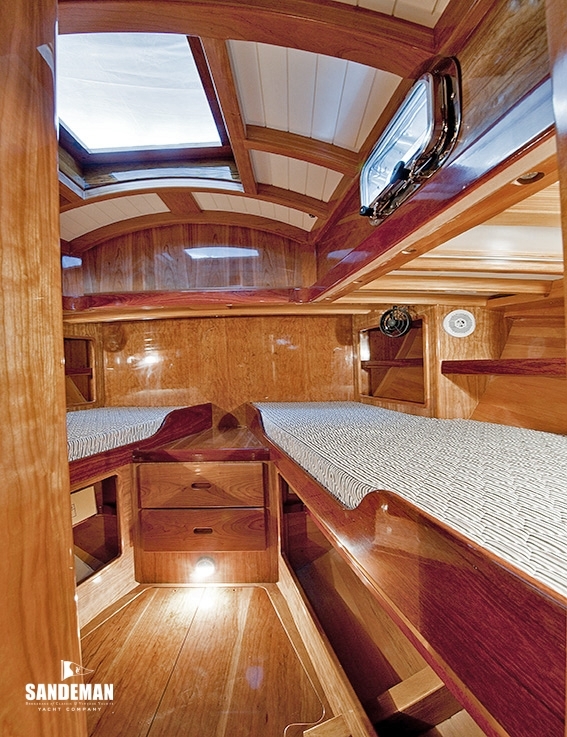 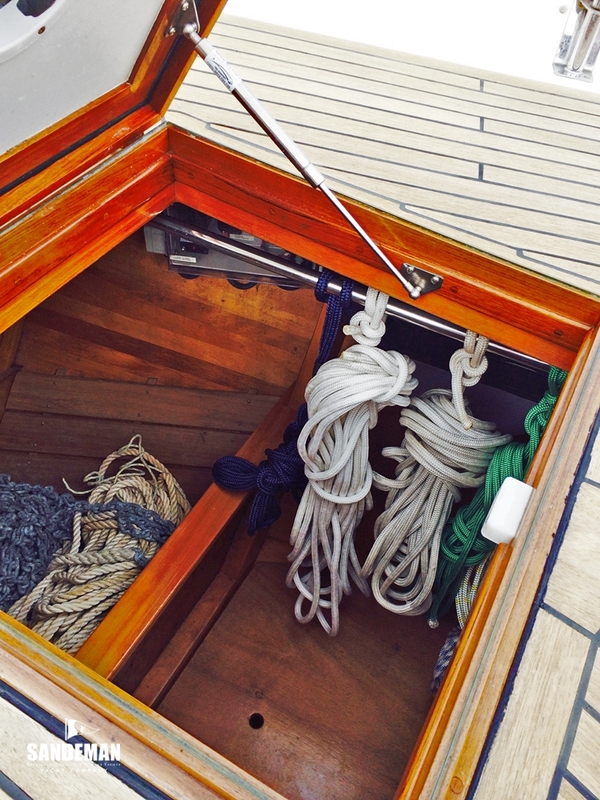 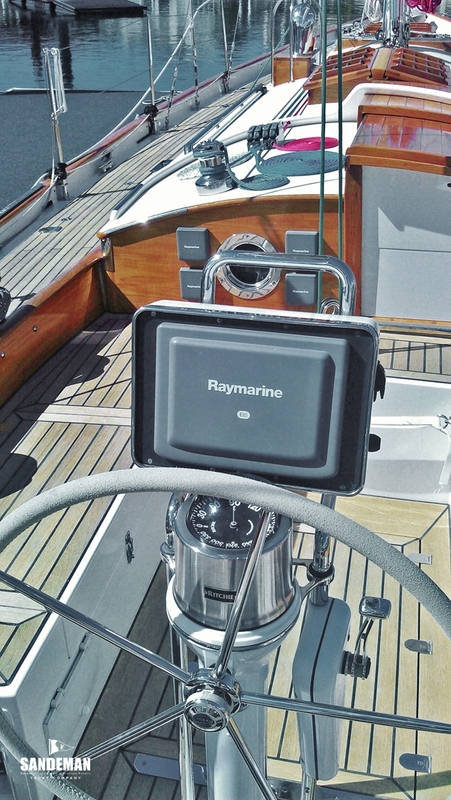 - Single berths to port and starboard with innerspring mattresses. 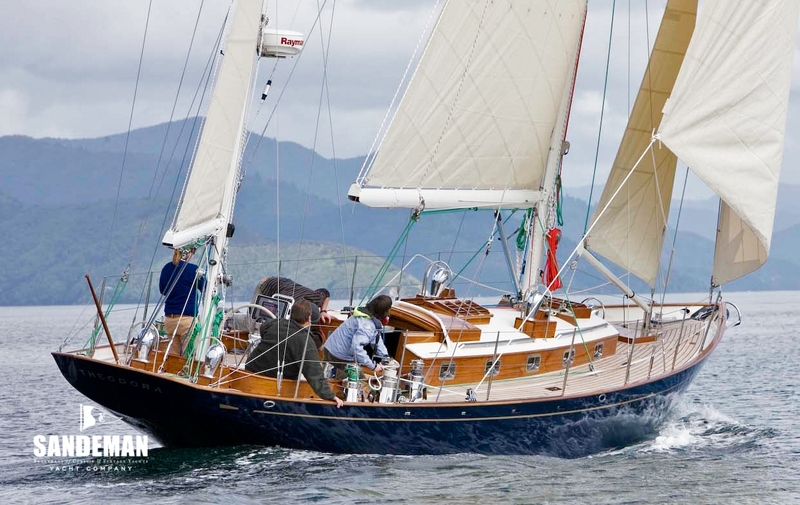 THEODORA’s lines are those of the # 602 REVONOC, whose owner Harvey Conover, an experienced yachtsman had put much of his own knowledge and experience into the specification – to be interpreted perfectly by Olin and Aage as one would expect. 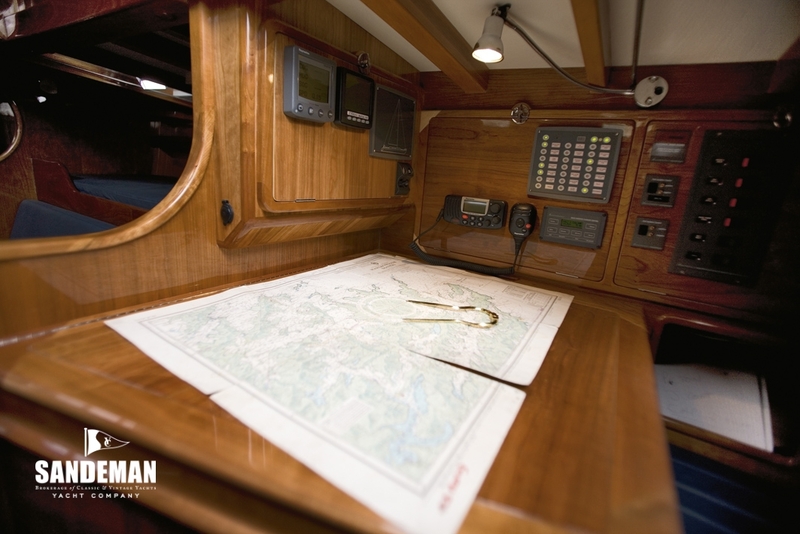 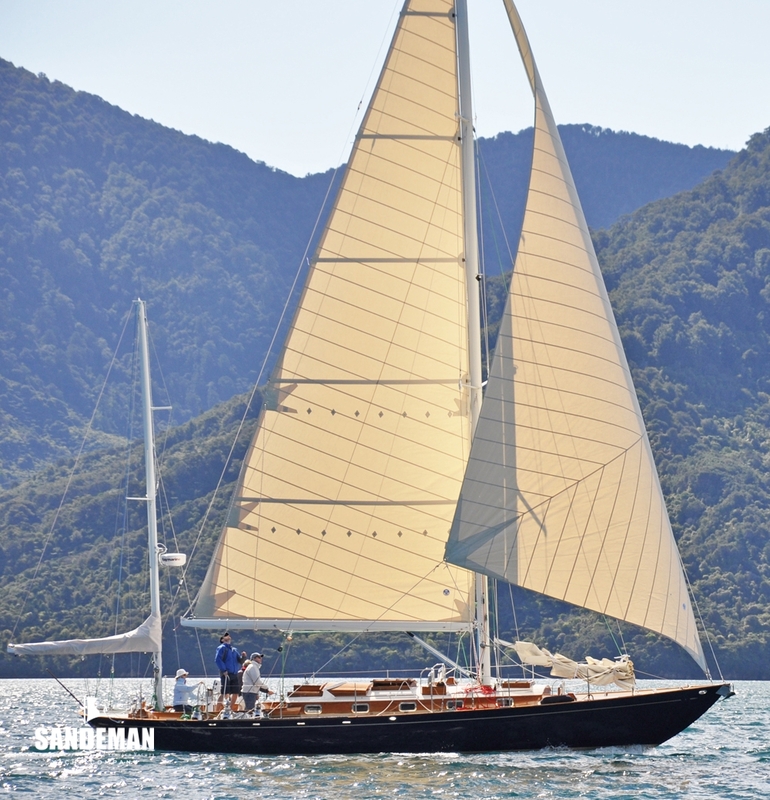 While the hull design was unchanged to preserve the original sailing characteristics, modifications to the # 602 sail plan and interior were made to enable short-handed sailing and modern day convenience. 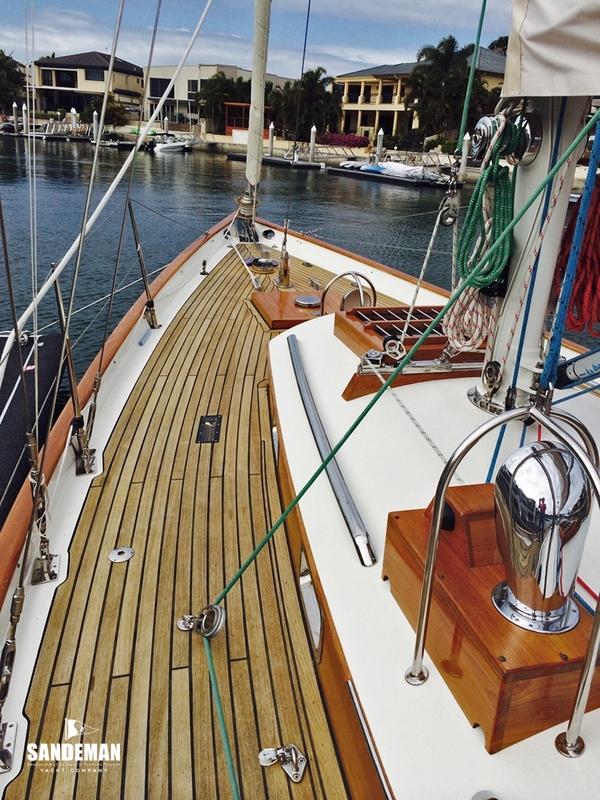 THEODORA’s long keel and wineglass section give a comfortable motion in a seaway and instills confidence in her ability to handle ocean conditions. 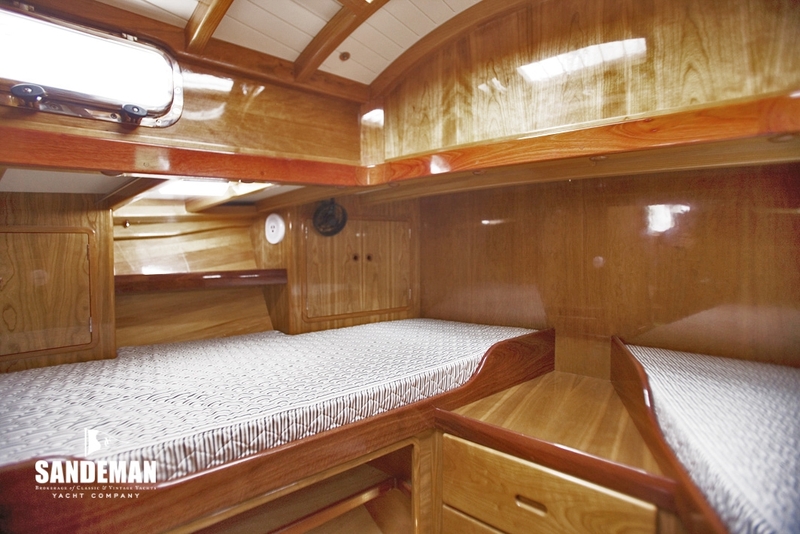 She reacts calmly to wash and chop and is surprisingly stiff - feeling solid and balanced. 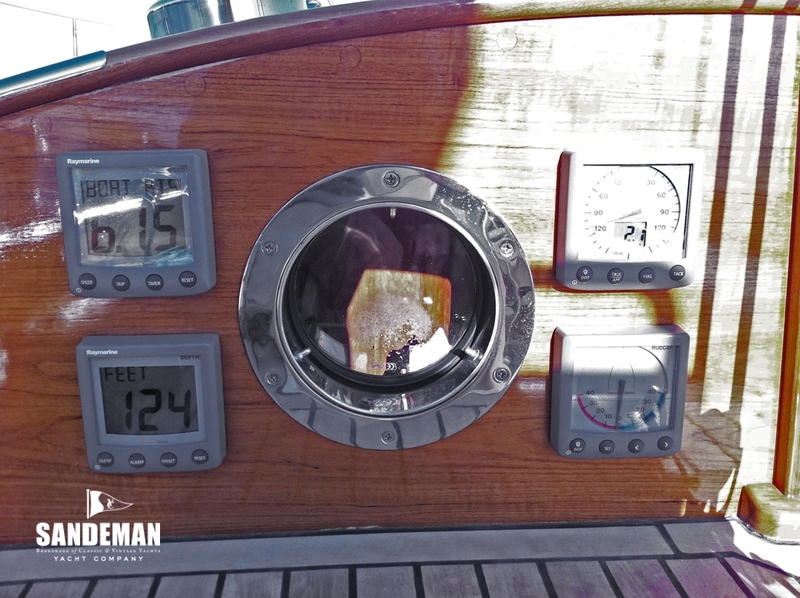 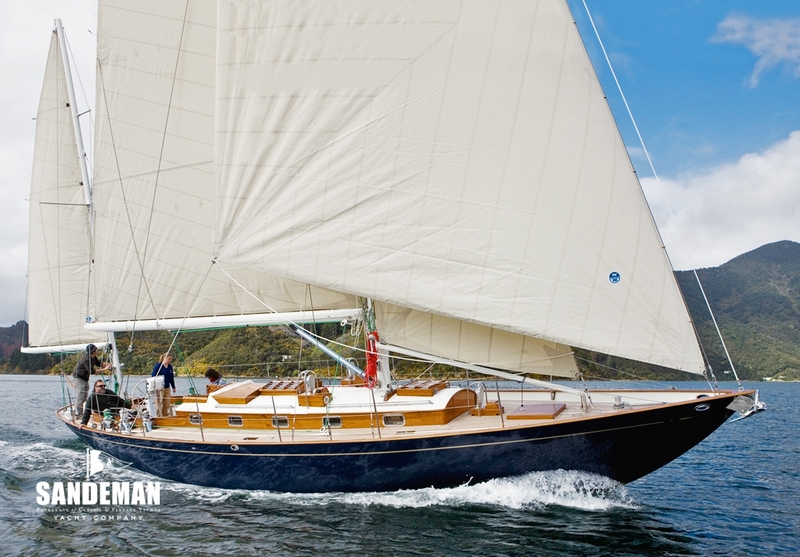 She is a light air performer and makes 9 knots in a 15 knot reaching wind. 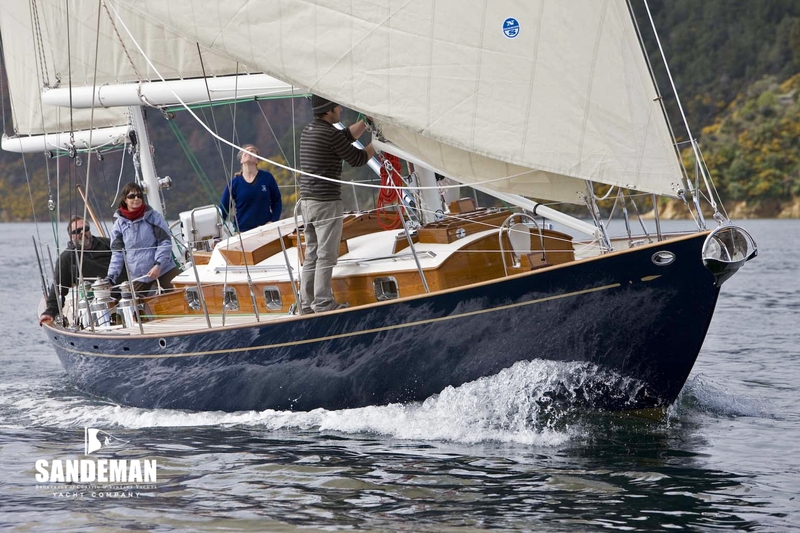 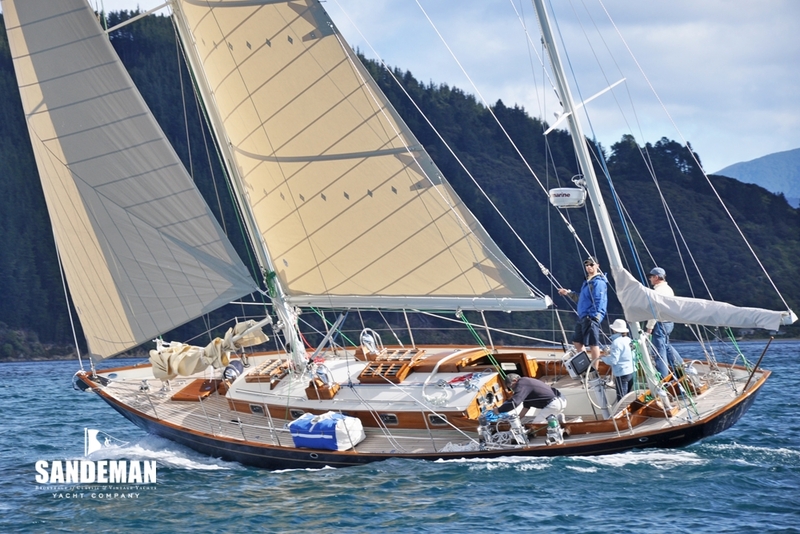 In short as the epitome of timeless class, beauty, strength and speed, she will stand out at classic regattas in the Mediterranean and the Caribbean as one of the finest designs ever produced from the board of Olin Stephens.